Are you a lonely social media marketing freelancer? Are you doing the job of ten people creating content 24 hours a day? Do you feel tired, overloaded and undervalued? From now on, forget about this feeling because we have a perfect service for you to double your profit while minimizing your efforts on social media. 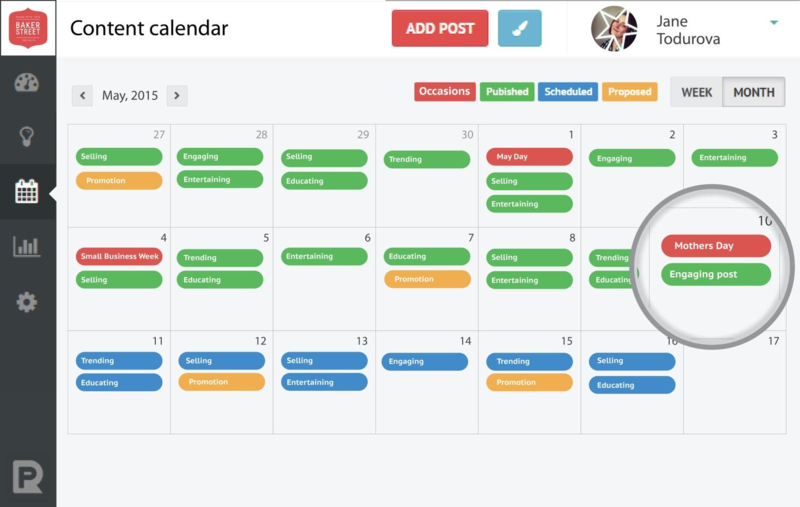 The service contains a set of tools that will significantly reduce the time you spend on the routine tasks, such as post scheduling, content editing, and so on. With PromoRepublic, you can easily cope with more than one iron in your fire. Now, let’s get down to business. 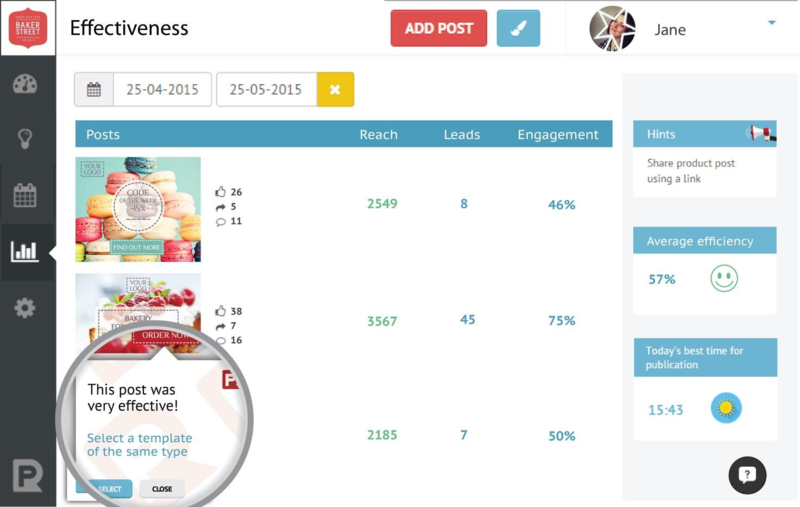 If you just getting started in content marketing, you need a tool to help you with all the tasks. Google Calendar won’t be enough. It doesn’t save you time at all. If you get too used to simple spreadsheets, you won’t be able to cope with all your job soon. Once you start creating more content, planing weeks and months ahead, and managing several blogs, Facebook pages and other social media networks, you’ll need an easy and convenient content calendar (editorial calendar) to keep your job organized. The purpose of content calendar is to assume a huge part of your daily routine and keep you aware of the latest trends, holidays, and events, which is almost impossible to do on your own. This is the most important and useful part of our service. When you open it, you see that almost every day is filled with certain occasions. 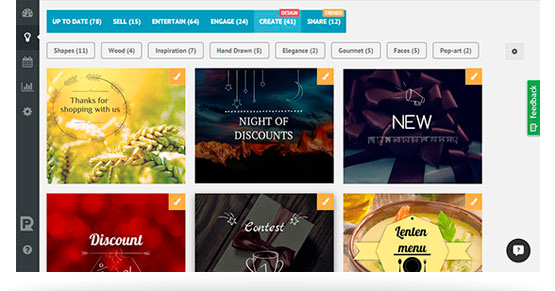 Trends, holidays, local events, show business and other occasions are highlighted with different colors. It is highly important to publish the proper content in the right time. Cute puppies are good, but there are more than enough of this stuff everywhere. PromoRepublic is here for you to suggest the situational marketing approach. In simple terms, our service notifies you of holidays and events, international holidays (Valentine’s Day, Mardi Gras), local events (first snowfall in the city), show businesses (DiCaprio finally gets an Oscar), days from history (Christopher Columbus discovered America) and sporting events (‘Super Bowl’) via the calendar, so you don’t miss a chance to apply them to your advantage. It goes without saying that we have appropriate templates for each occasion. Just click the one you like and choose a suitable template or create the post on your own. When the post is created, you will see it in this calendar. The whole text, pictures, and photos will be here. You will see the posts that have already been published and the ones that are still waiting for their finest hour. All your posts will be automatically published in Facebook, Twitter or other social media of your choice. You don’t need to open each page separately, everything can be easily done through our editorial calendar. In settings tab, you can define the most appropriate time for your publications. You publish the post right away, schedule it, or put it in a queue. The last option allows you to prearrange the schedule, so your post will wait in a queue until the proper time. 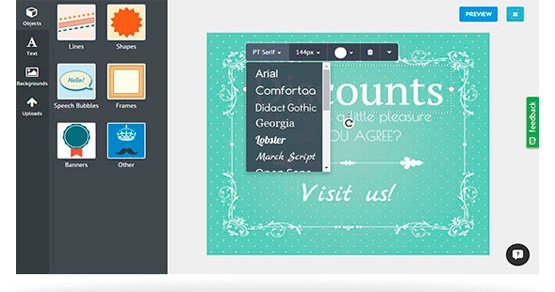 In Post Ideas tab you will find numerous templates divided into categories. Just for the record, our templates are optimized for various industries. The library is constantly being updated with fresh photos, pictures, quizzes polls, promotion offers, and other ideas. They are created based on the experience gained from working with more than 10.000 businesses for years. We know exactly what you may need for successful social media marketing strategy. Our service has an in-build graphic editor, which appears when you edit the posts. Forget about hiring expensive designers or reading tons of books about Photoshop. Our graphic editor is super-easy to use and you don’t need to open any other tool. Change colors, add frames lines, icons and other stuff, and edit text in a few clicks. In this tab, you can check the statistics regarding each and every post starting from the account’s creation (views, clicks, likes, posts per day, efficiency and all the related stuff). Review it regularly to adopt your content strategy to readers’ needs. As you can see, PromoRepublic is a copywriter, designer and content manager at the same time. It will definitely do your good by saving plenty of time. Considering that time is money, you can easily double your income because you will have enough time for new clients. Go for it! 14-days trial period is available. After that, you will have to pay $30 per month.